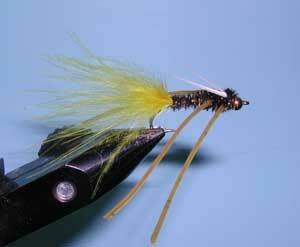 Notes: Andy Burk, a Central Sierran Flyfishing Guide, designed this fly originally for smallmouth bass. It has also been very effective for a number of other species, including trout. 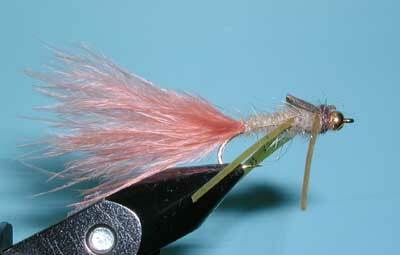 The pattern is basically a composite of a Nymph and Marabou Streamer with Rubberlegs thrown in. 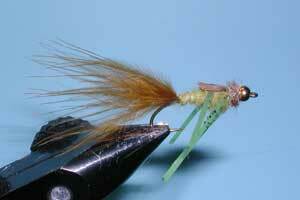 Lot's of action, a pure attractor streamer. 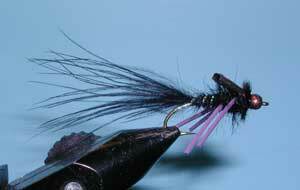 Andy has tied these in variations of black, olive and Prince Nymph.